Last Saturday I had the pleasure to go to a wonderful talent competition in Chicago (well, actually Skokie). It showcased Chicago’s best and brightest Asian American musicians and performers. While I am not Asian American myself, years of learning Chinese and studying abroad in Asia has exposed me a bit to the amazing Asian community in the United States. I really admire the supportive environment that movements such as Kollaboration promote and I was throughly impressed by the passion and enthusiasm by all of the Kollaboration staff, performers, and audience members. I found out about Kollaboration completely by accident while catching up on new Jun Sung Ahn violin covers. I was delighted to hear that he would be a guest performer at Kollaboration and I immediately bought my ticket. If you haven’t heard of YouTube star Jun Curry Ahn, check out his page! 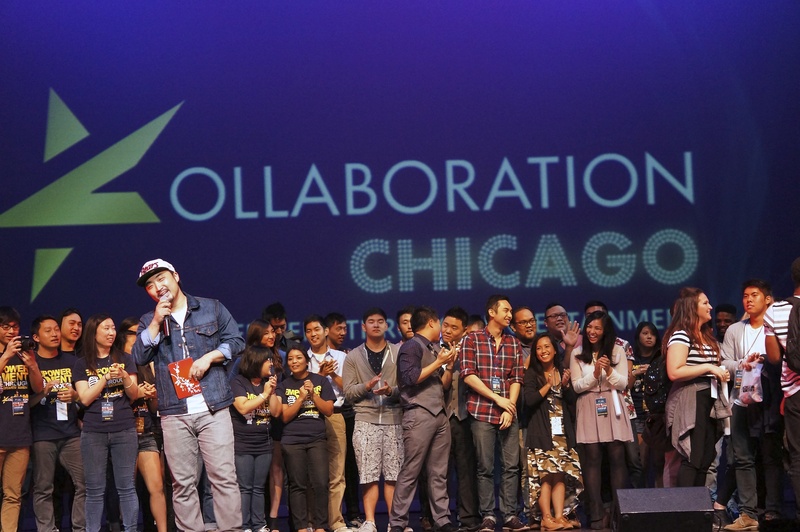 Ten finalists participated in Kollaboration Chicago 2013. They competed for $1,000 and the chance to move on to the final round in California where $20,000 is up for grabs. There was a mix of performers ranging from vocalists, pianists, dancers, and spoken word artists. Below are some of my pictures from the event. Everyone did an amazing job. Please click on any of the photos to begin the slideshow! Alvin Lau Wins Kollaboration Chicago!